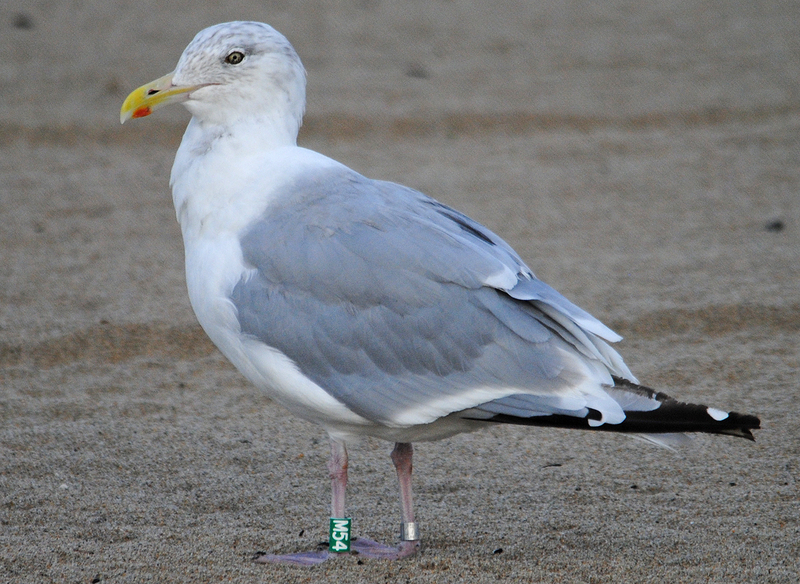 American Herring Gull (smithsonianus) M54 (formerly C45) 2011, 2012 & 2013, Hampton Beach, NH. Picture: Keith Mueller & Jon Worthen. M54 has a lengthy history with the project. 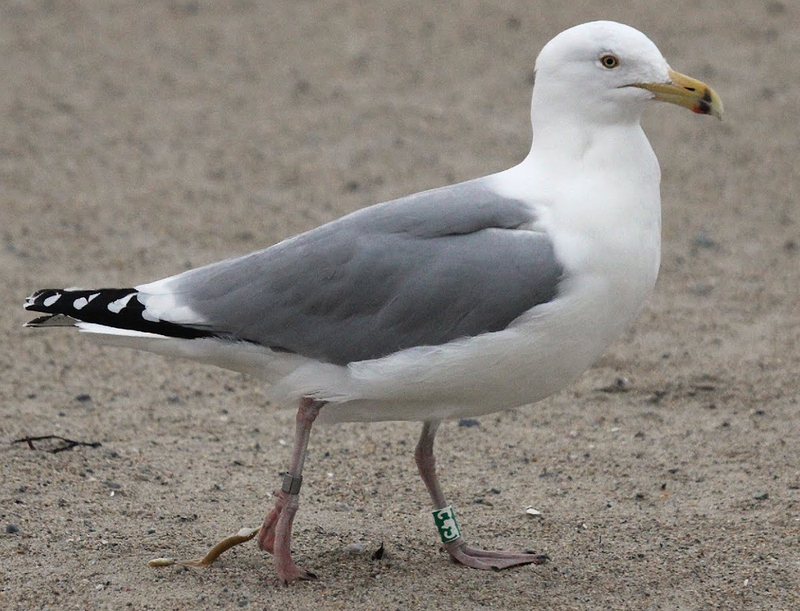 It was originally banded as a chick in 2005 and was given the field readable band, C45. C45 was next observed at Jenness Beach, NH in July 2008. The bird showed up to nest on Appledore in May 2009. It was observed again at Jenness Beach in August 2009. Then, it returned to nest at Transect 5 in 2010 and 2011. C45 was observed at Hampton Beach by Jon Worthen in Sept 2011 and Jan 2012, and by Keith Mueller on March 2012. 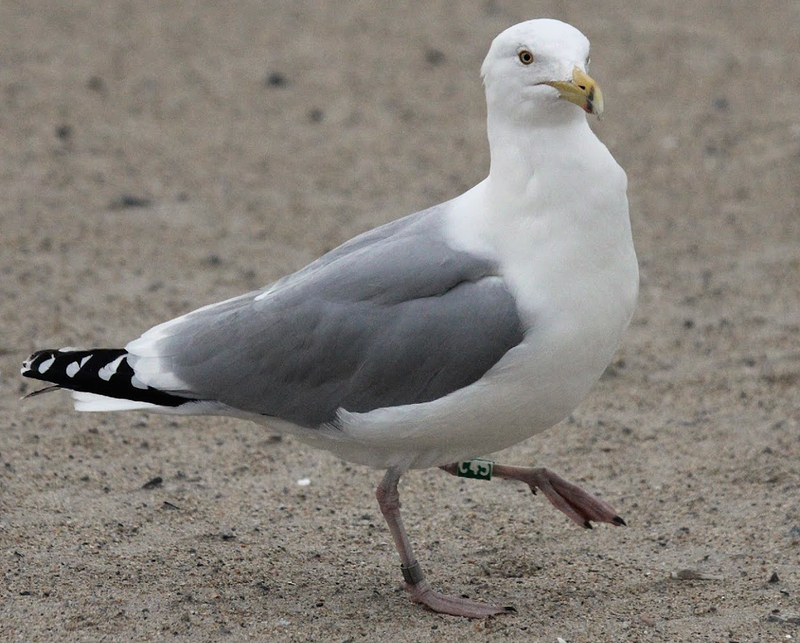 The bird returned to breed on Appledore in May 2012 when it was re-banded to M54. This year we plan to go through the database and determine how many banded chicks have returned to breed on Appledore. below: 9cy M54 September 13 2013, Hampton Beach, NH. Picture: Jon Worthen. Large moult gap: P5 / P9; but tip of P6 almost reaching P5 tip. Almost all greater coverts dropped simultaneously, now exposing the bases of the secondaries underneath. below: 8cy M54 August 06 2012, Hampton Beach, NH. Picture: Jon Worthen. 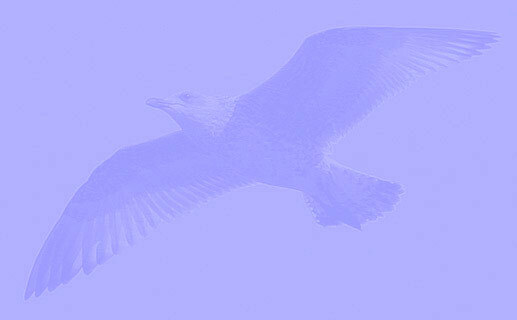 below: 8cy C45 March 05 2012, Hampton Beach, NH. Picture: Keith Mueller. 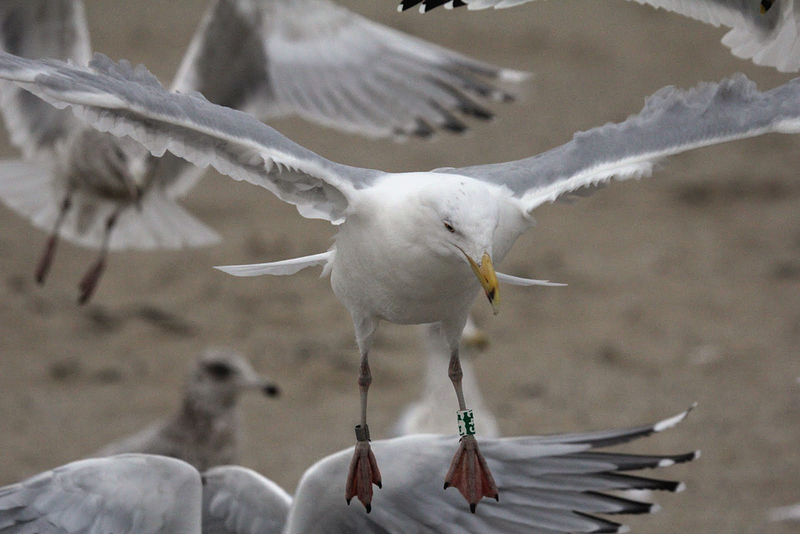 Herring Gull green C45 and Fed. 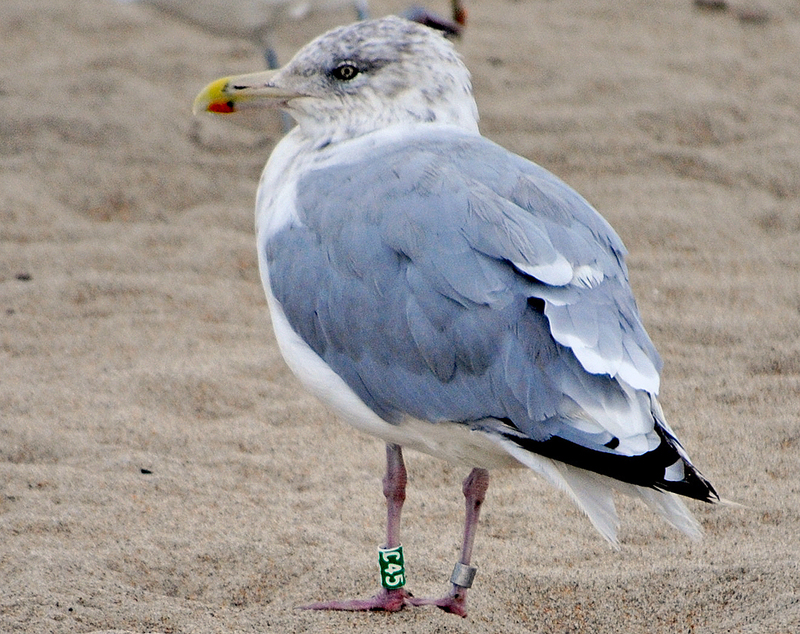 band #- 1767-00245 was banded as an adult on Juny 17 2005 atAppledore Trail K, House to Smith's Cove. 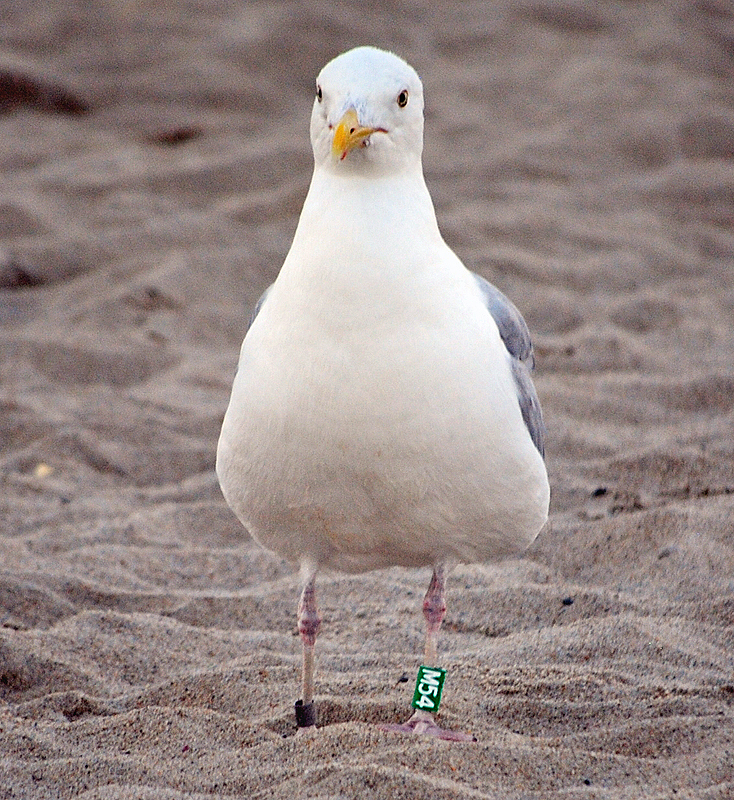 Keith saw five Appledore gulls (K68, C45, K65, P02, T20) at Hampton Beach on March 05 2012. 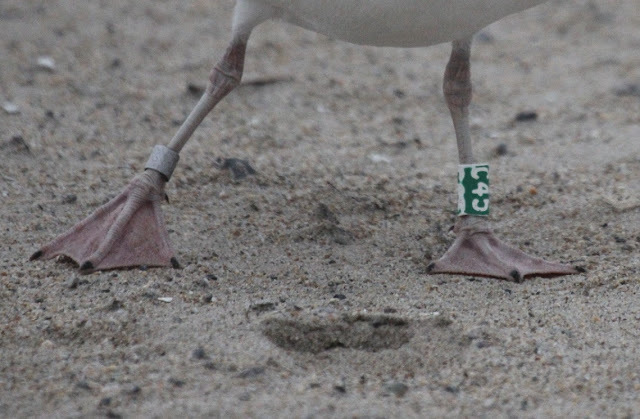 C45, who was banded as a chick in 2005, has been resighted several times at Jenness Beach, NH and has returned to Appledore to nest each of the past three years. Note broad black band on bill. below: 7cy C45 September 25 2011, Hampton Beach, NH. Picture: Jon Worthen.